Double Disc Refiner is continuous pulping equipment in paper making and pulping system. Advantages: It has the peculiarities of compact structure, less occupation of land, high efficient, low power consumption, well adaptability, simplicity of operator, flexible regulation, convenient to service, etc. 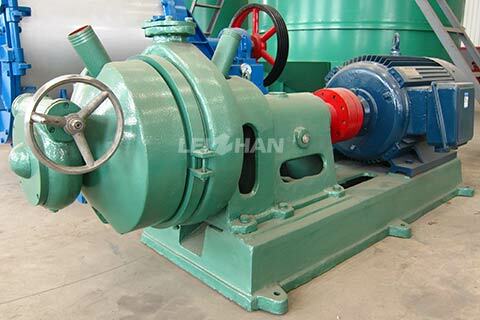 It is perfect continuous pulping equipment nowadays. Double Disc Refiner can be unit set use or use more one in series connection and parallel connection according to requirements of technological requirements. Construction: ZDP Series Double Disc Refiner consists of mainframe, coupling, bearing support, shifting-seat feed mechanism, etc. How to work: ZDP Series Double Disc Refiner is equipped with two refining area, four plates’ abrasion pattern angle of inclination are assembled with the order of left, left, right, right. Two left plates are respectively fastened in chassis inner wall and turnplate inside, two right plates are respectively fastened in chassis outside wall and shifting seat. These formed two refining area. Slurry simultaneous input refining area from two inlet pipes at the same time, leave refining area to shell after pulping, output from the outlet mouth.